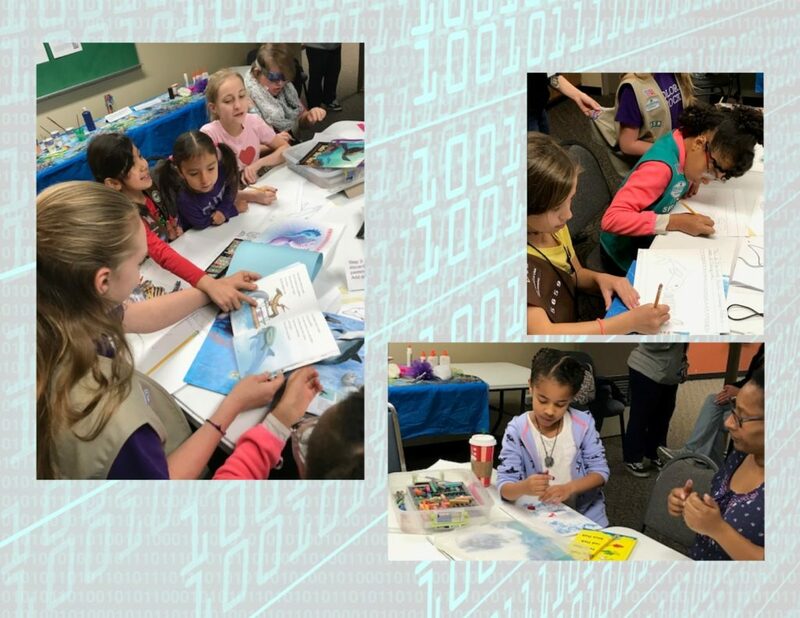 Girl Scout Cadette Elizabeth completed the “Think Like a Programmer” Journey with the help of her multi-level troop. She planned a web-site to raise awareness of the Great Pacific Garbage Patch to inspire people everywhere to make lifestyle changes that can help solve the problem and protect our resources. First, the girls made a list of local, personal, and global problems computers can solve. They learned about what programmers do and what computers do to solve problems. With input from the troop, Elizabeth chose a community to focus on for her Take Action project: the ocean community of people and animals. She narrowed down all the problems affecting the ocean community to the Great Pacific Garbage Patch. They used computational thinking by taking a big problem, The Great Pacific Garbage Patch, and breaking it into steps. They learned how to apply user-centered design by identifying the concerns, interests, and needs of the users of the oceans: humans need healthy food, transportation, medicine, minerals, transportation, and a healthy climate, and sea creatures need a healthy, clean environment to live in. 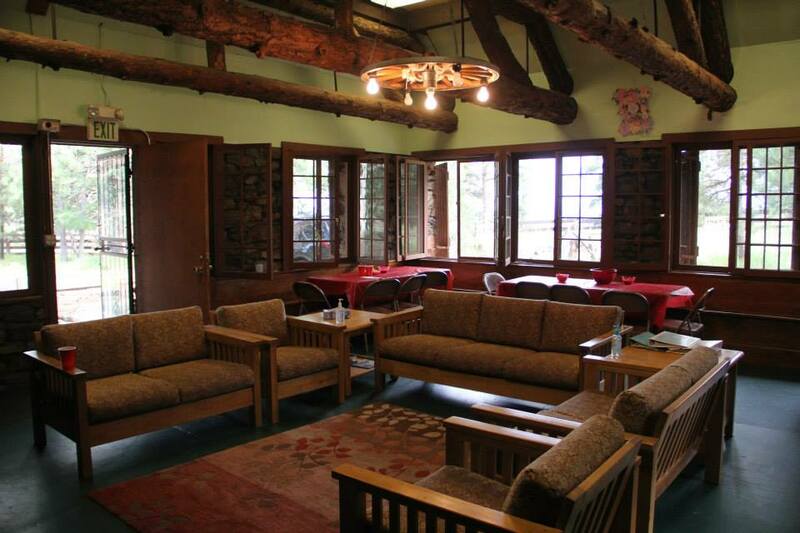 Elizabeth’s solution was to educate and inspire people about the garbage patch,. She considered what might be important to our users: easy ways to take action and step-by-step instructions. Elizabeth used feedback to improve her solution by learning what current ocean clean-up projects tell the public that people can do to help. Elizabeth wanted to reach others to teach them what she learned, so the troop hosted a Call to Action event for the whole community. During the event, troop members and attendees learned about the problem and created artwork to raise awareness and remind them of their pledge to Take Action. Elizabeth came up with the idea to create a website to share information about the garbage patch, so her project would be sustainable. She wanted the website to include information for visitors on how to contact their elected representatives and information on local recycling options. 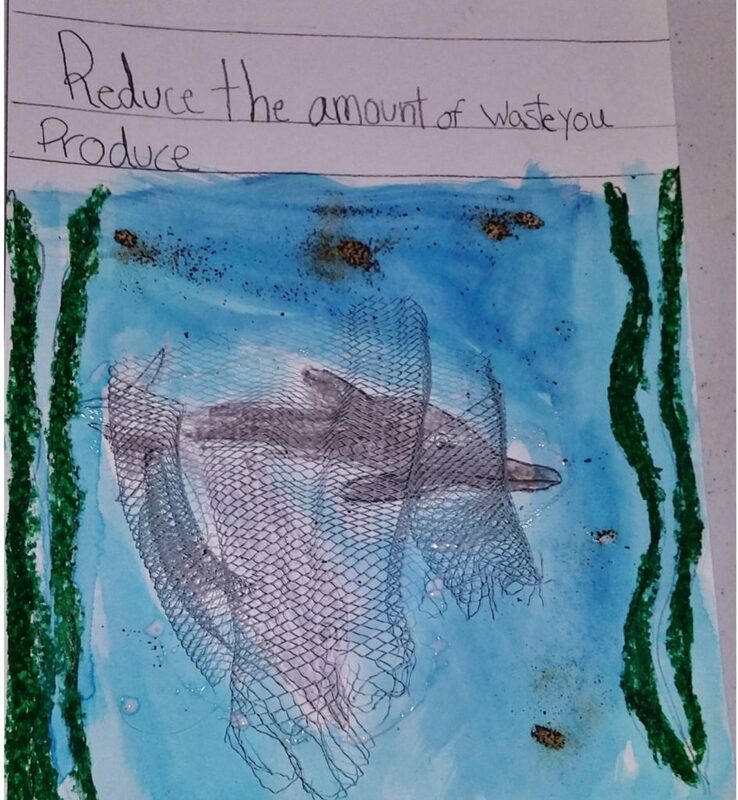 The finished website includes art inspired by the Great Pacific Garbage Patch created by Elizabeth, her troop, and the event guests. It also includes instructions on how to make your own art and pledge to Take Action to ensure our oceans are protected! Please visit the site at https://garbagepatchcalltoaction.myvidmy.com/ and share the link with everyone you know to create lasting change!